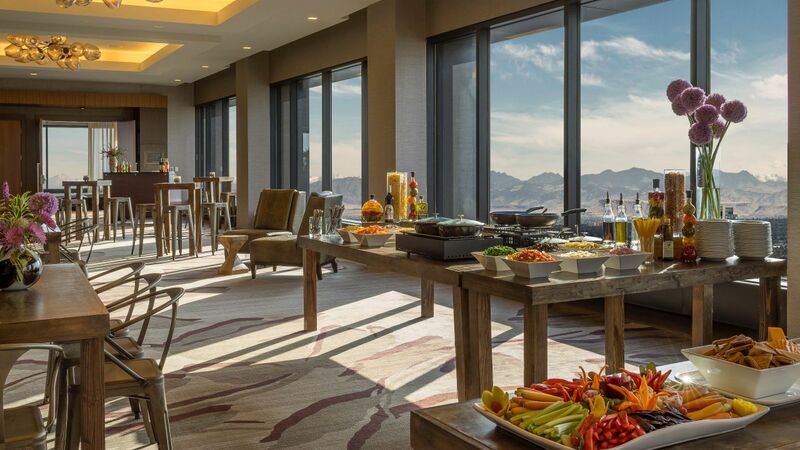 Take your meeting, conference, or corporate event in downtown Denver to a new level of success in more than 52,600 square feet of space, including one of the city’s most inspiring venues—the Pinnacle Club space located on the 38th floor and windowed on four sides. 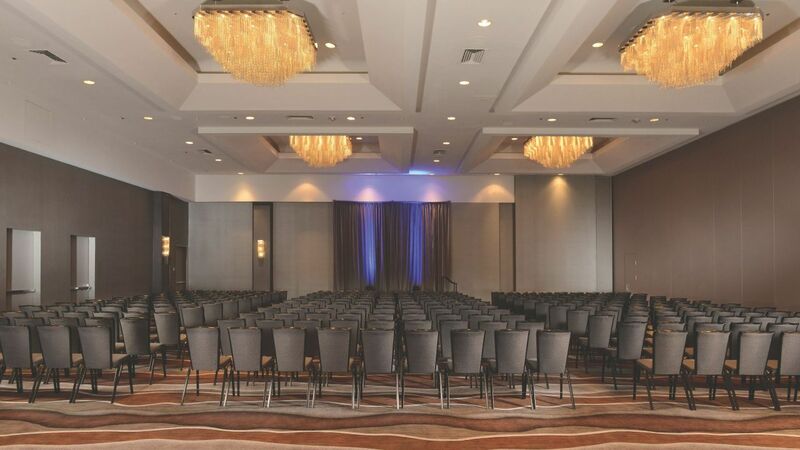 Coupled with our sister property located two blocks away, Hyatt Regency Denver at Colorado Convention Center, guests have access to more than 110,000 square feet of combined meeting and event space in downtown Denver and 1,600 guest rooms. Let our experts plan a seamless conference just steps from the Colorado Convention Center. Event specialists assist in planning everything from VIP meetings to large-scale conferences. Meet walking distance from 16th Street Mall and the Colorado Convention Center. On-site technicians set up each fully equipped venue with impressive light and sound displays. Complement your meeting with the delicious and innovative creations of our talented culinary team. From pre-conference continental breakfasts and working lunches to sit-down banquets, our catering staff can create menus that satisfy appetites and energize participants. 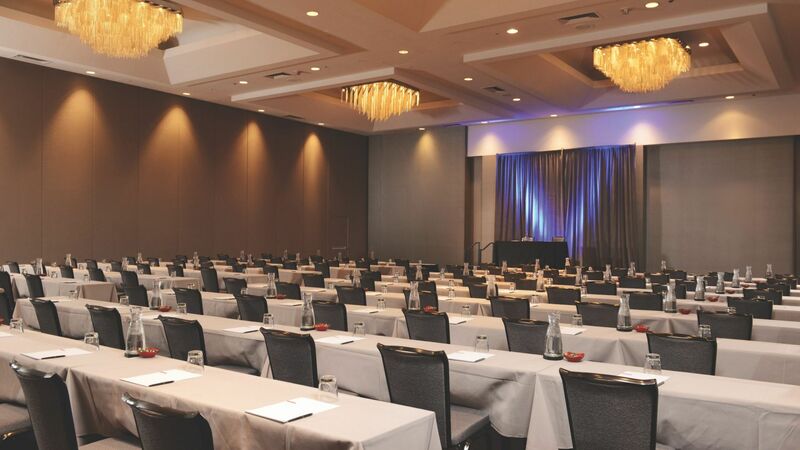 Book a meeting with a minimum of 50 paid rooms on peak night and held before 3/31/19 and receive a choice of one of the following: Complimentary coffee for your conference breaks of 100 people or more or free general session WiFi, meeting space rate limit of up to 2 Mbps. Offer valid for new meetings booked between 07/31/2018 and 03/30/2019 and held between 08/08/2018 through 03/31/2019 at Grand Hyatt Denver. Must request offer code FREEBI at time of meeting inquiry to qualify for offer and details must be specified in contract (including the definition of eligible and ineligible bookings). Offer includes: choice of one or more value-add options dependent on the number of room nights guaranteed on peak meeting night. Meeting planners will receive A choice of one of the following: complimentary coffee for conference breaks for 100 people or more or free general session WiFi. Rate limit of up to 2 Mbps. Does not include wired connectivity, dedicated bandwidth, custom VLANS and custom splash pages . Offer inclusions are per stay, subject to availability and must coincide with the meeting. Reservations subject to availability of function space and guestrooms at time of inquiry. Offer not valid in conjunction with previously booked or held meetings or any other promotion or offers. Offer applies to all eligible bookings. Meeting planner responsible for all charges related to value-add options not included in this offer. No refunds for any unused portion of offer. No substitutions nor replacement services or products offered for offer inclusions. 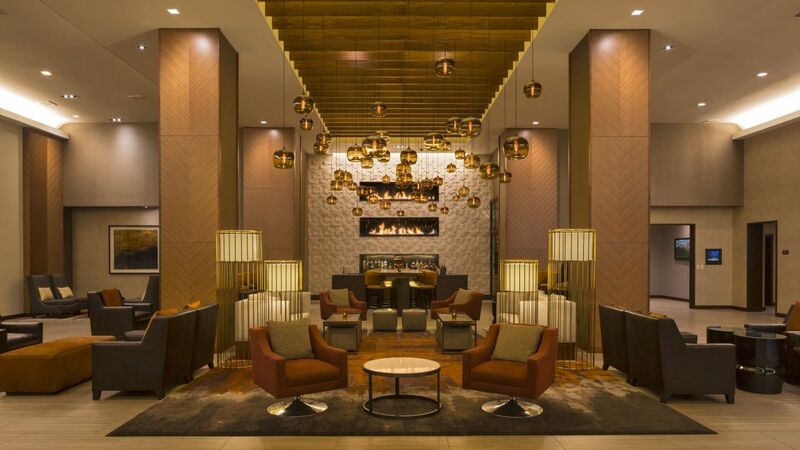 Qualifying planners who are Hyatt Gold Passport members may also be eligible for Hyatt Gold Passport Planner Rewards bonus points. Promotional blackout periods may apply due to seasonal periods or special events, and normal arrival/departure restrictions apply. Hyatt reserves the right to alter or withdraw this offer at any time without notice. The trademarks Hyatt®, Hyatt Hotels & Resorts®, Park Hyatt®, Grand Hyatt®, Hyatt Regency®, Andaz®, Hyatt Centric™, The Unbound Collection by Hyatt™, Hyatt Place®, Hyatt House®, Hyatt Ziva™, Hyatt Zilara™, Hyatt Gold Passport®, Hyatt Residence Club® and related marks are trademarks of Hyatt Corporation or its affiliates. ©2018 Hyatt Corporation. All rights reserved. Book your meeting and enjoy a choice of complimentary coffee for your breaks or free general session WiFi. Book a meeting with a minimum of 50 paid rooms on peak night and held before 12/31/19 and receive a choice of one of the following: Complimentary coffee for your conference breaks of 100 people or more or free general session WiFi, meeting space rate limit of up to 2 Mbps. Offer valid for new meetings booked between 01/18/2019 and 12/30/2019 and held between 01/26/2019 through 12/31/2019 at Grand Hyatt Denver. Must request offer code SUNS at time of meeting inquiry to qualify for offer and details must be specified in contract (including the definition of eligible and ineligible bookings). Offer includes: choice of one or more value-add options dependent on the number of room nights guaranteed on peak meeting night. Meeting planners will receive A choice of one of the following: complimentary coffee for conference breaks for 100 people or more or free general session WiFi. Rate limit of up to 2 Mbps. Does not include wired connectivity, dedicated bandwidth, custom VLANS and custom splash pages . Offer inclusions are per stay, subject to availability and must coincide with the meeting. Reservations subject to availability of function space and guestrooms at time of inquiry. Offer not valid in conjunction with previously booked or held meetings or any other promotion or offers. Offer applies to all eligible bookings. Meeting planner responsible for all charges related to value-add options not included in this offer. No refunds for any unused portion of offer. No substitutions nor replacement services or products offered for offer inclusions. Qualifying planners who are World of Hyatt® members may also be eligible for World of Hyatt® Planner Rewards bonus points.